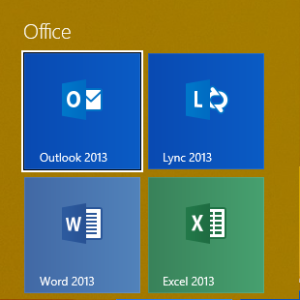 Hit the Windows key and choose Outlook 2013. 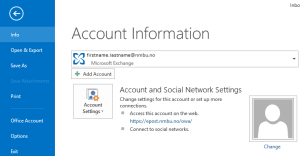 Open the File menu ( Hotkey Alt + F ) then go to Info and then Add Account. 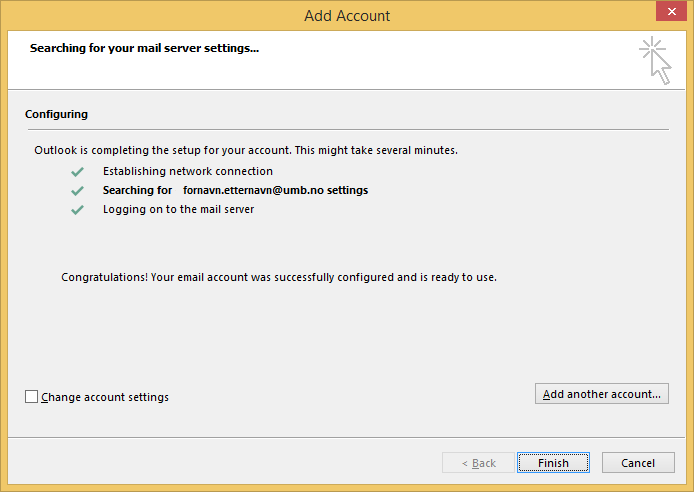 Type your full name in the Your Name field, your firstname.lastname@umb.no in the E-Mail field and finish off by typing your NMBU-password in both the password fields. Click OK and then start Outlook again. 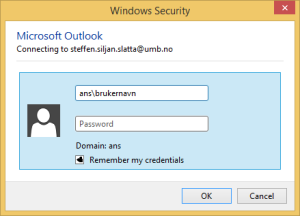 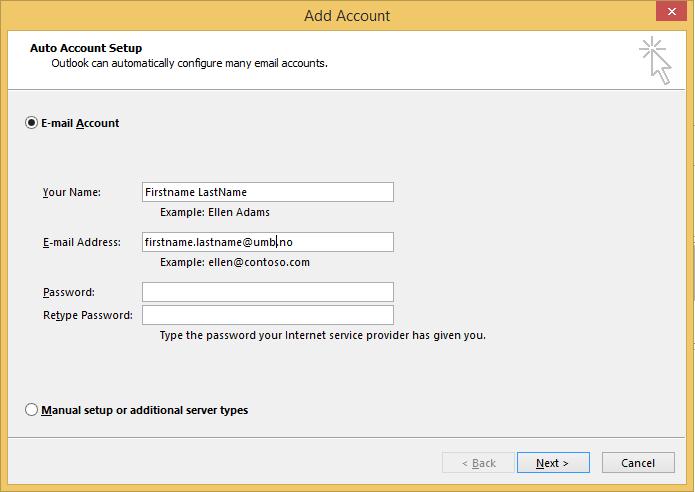 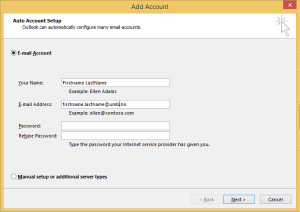 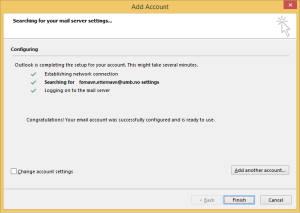 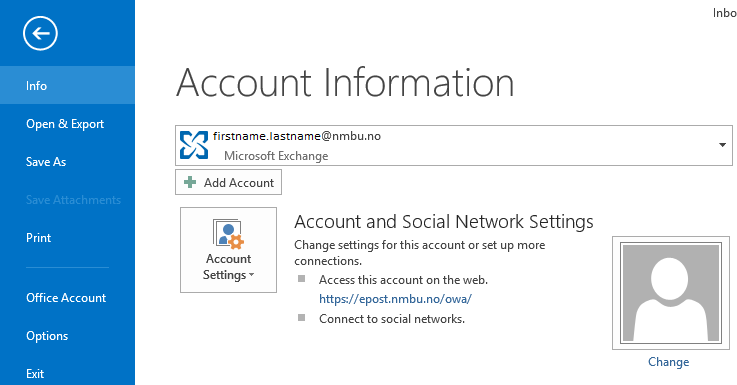 When you launch Outlook this time, log in with the correct domain and username like this ans\username and NMBU-password in the password field.